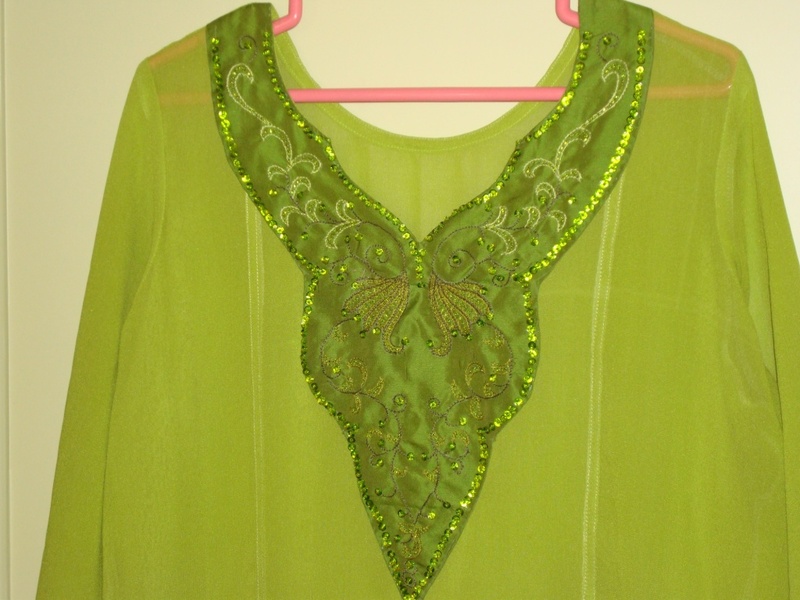 The beaded and sequined green yoke was sewn on the green chiffon tunic. Generally it is easier to work on yokes with angles, but this yoke had curves and the edges were also sequined. Luckily the tailor did a good job. 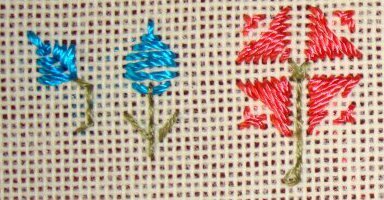 In this embroidery, the idea was to work with one colour. The effect would have been totally different, if it was worked with colour combinations. The antique yoke pattern was simple and elegant, and allows room for variations. It was part of a set of yoke patterns. I chose this with the idea of using the beads and sequins. This tunic fabric is silk chiffon in light green. This fabric was bought with the idea of wearing over a light green t-shirt. 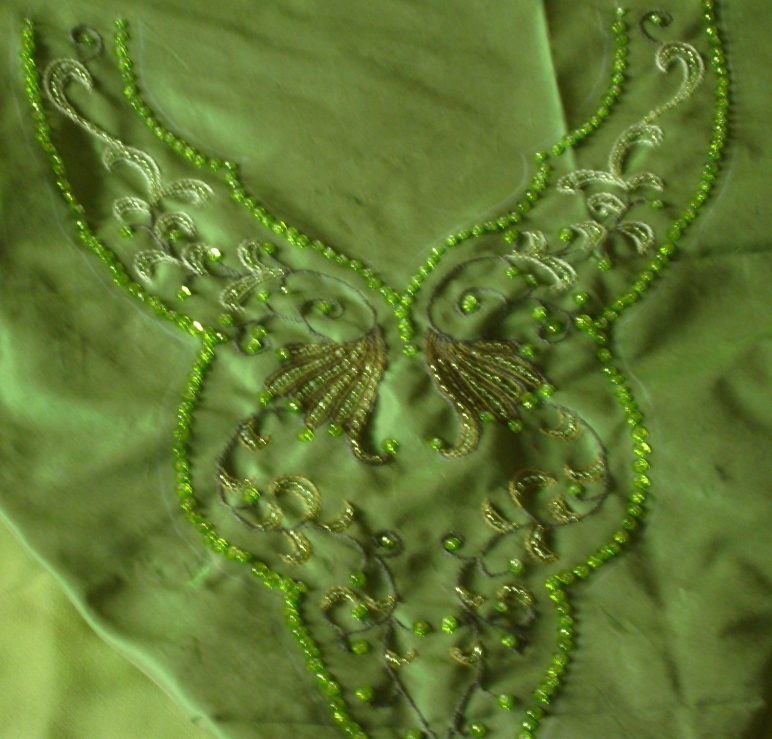 The yoke was green [ but a different shade] and the embroidery and embellishments were also done in green colours. 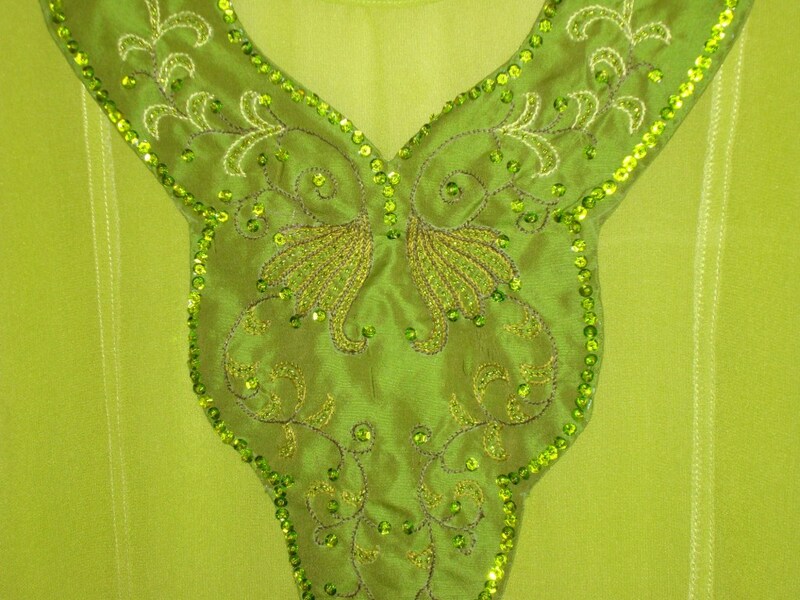 The details of the embroidery done on this greeny, greeny tunic! 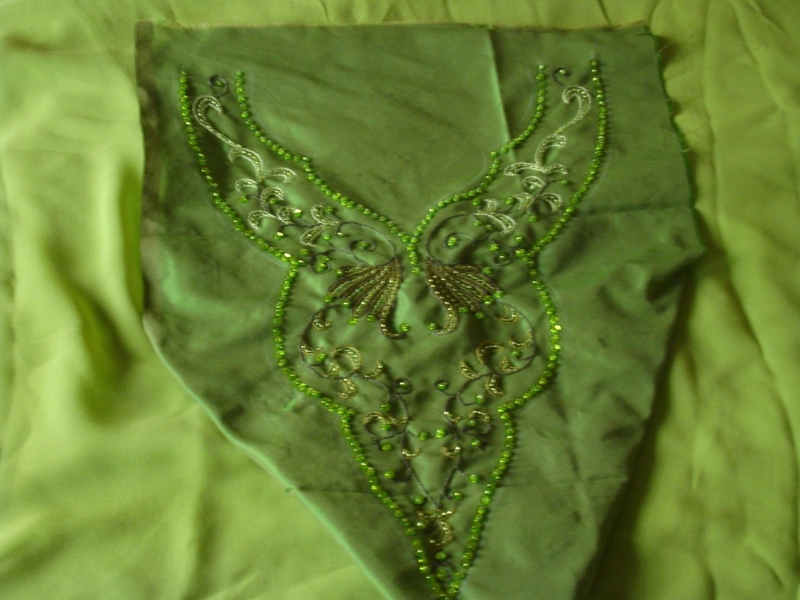 While I was working on the tunic , picture were not taken, so the picture is of the fully completed yoke only. The pattern was from antique pattern available on the web. I just reproduced the pattern[to suit my requirement], nothing creative here. The tunic on my next post. Since Iam unable to find the resource from which this pattern was chosen, Iam posting this link for reference, may be this link has this pattern. 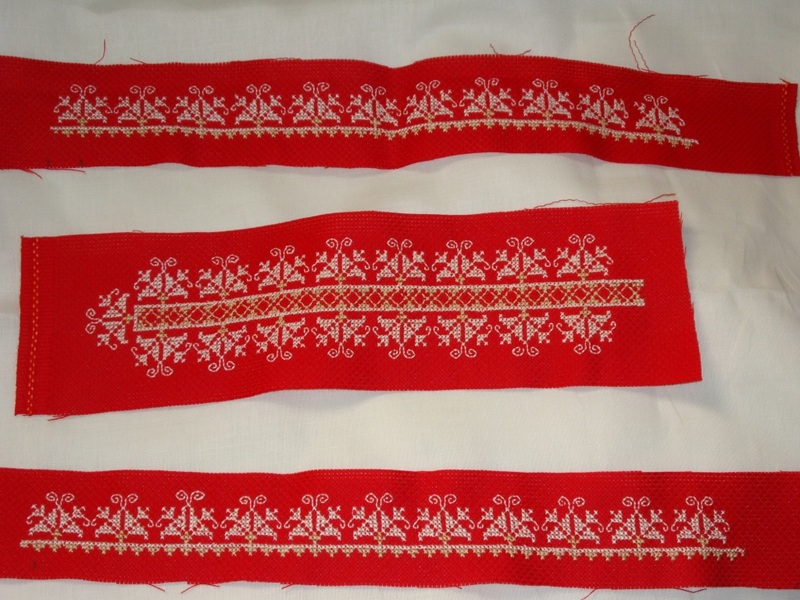 The cross stitch border patterns are completed on this red aida fabric. 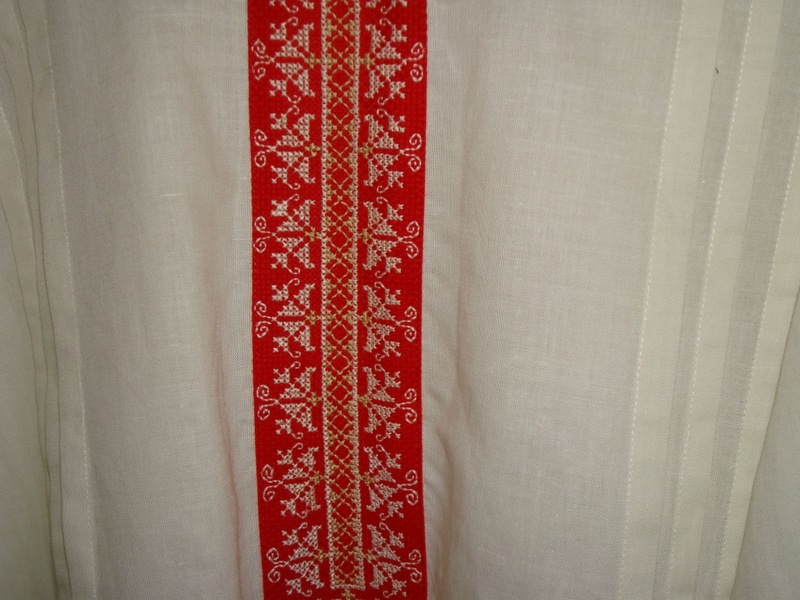 As usual the tunic and the borders were given to the tailor for sewing. I have worn this tunic a few times, either with leggings or salwar. 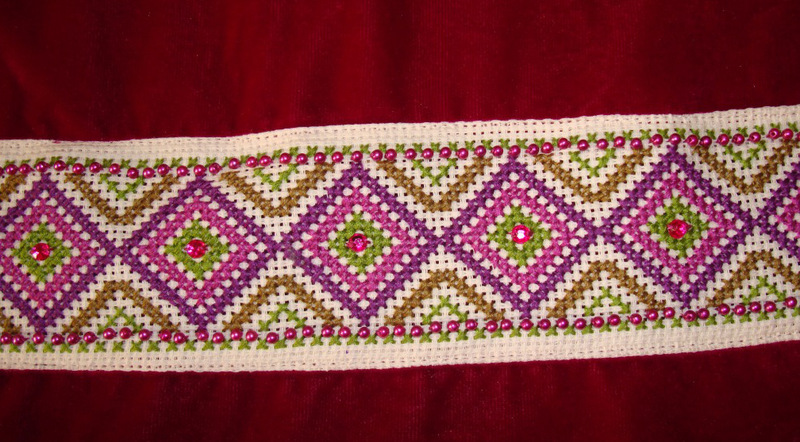 Most of my tunics, have an Indian look, because of the ethnic embroidery I work on them, but this tunic is different, the cross stitch embroidery and the pattern are not from India. 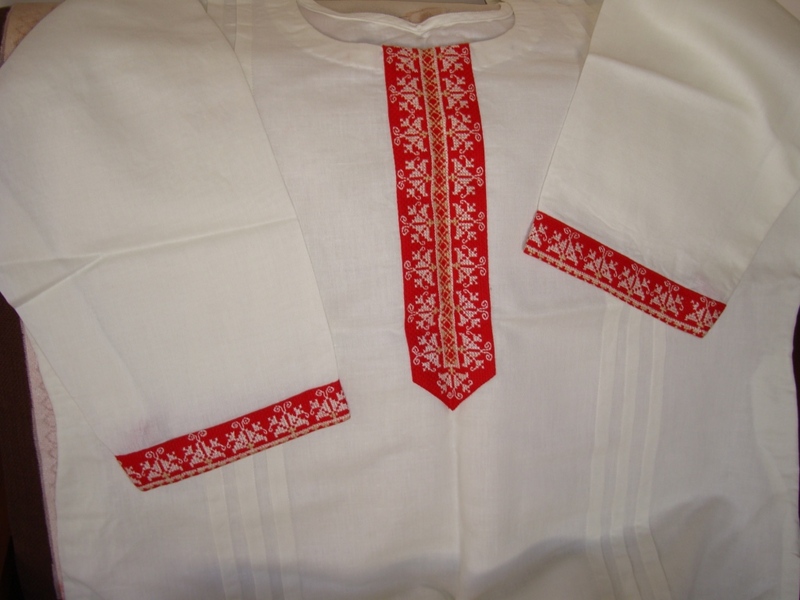 After completing the yoke for this white tunic, I started with the sleeves. 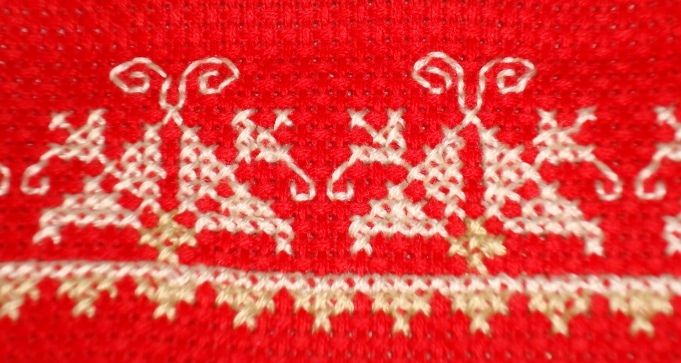 the centre pattern of the yoke was not worked in the sleeves. 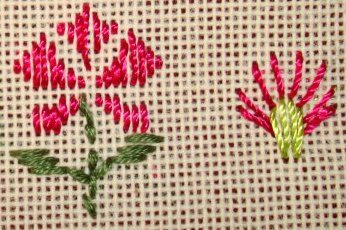 Other than that, the same floral border pattern is worked in cross stitch. 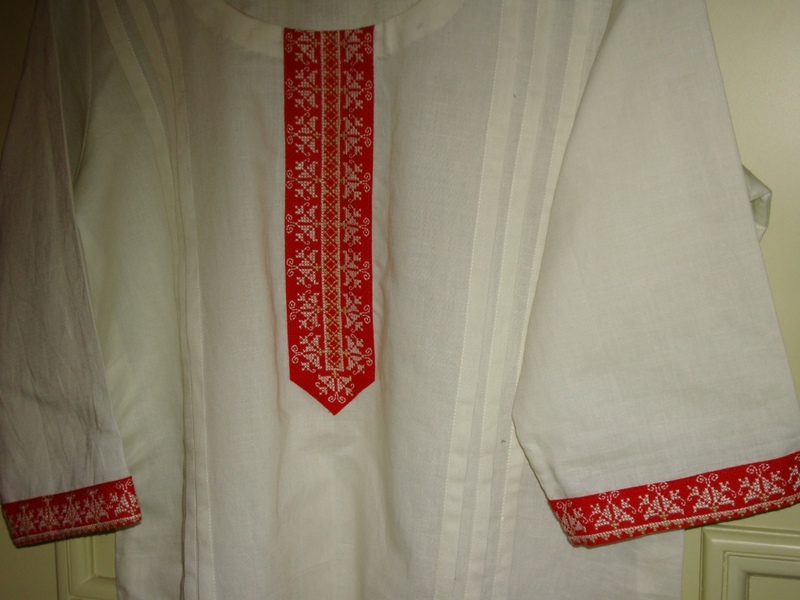 The yoke and sleeves before being attached to the tunic looks like this.